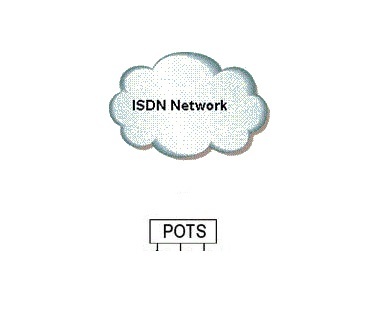 ISDN vs POTS – What are the benefits of changing to an ISDN for your business? Some businesses are still using the plain old telephone service (POTS) for all of their phone and internet communications. So what are the advantages of moving to an integrated services digital network (ISDN)? Well, once you actually make the change to ISDN, you will wonder why you didn’t make the move years, ago. As any ISDN convert will tell you, there are significant benefits to using this type of network, as opposed to a phone system based on standard telephone lines. A standard telephone line sends analogue signals along analogue lines, whereas an ISDN sends digital signals along those same lines. This means that instead of having one phone line and one telephone number, you can have up to 30 channels in one line, each with a direct dial in phone number. You also have lightning fast connections speeds for all your voice, data, image, and video conferencing and you save money as well. Remember some of these functions you can also perform with POTS, but the key difference is with the speed of the connections, due to the digital signals and the quality of these signals. Employees can access their emails, connect to the internet, and send data and files over the internet from their place of employment or from remote locations. You have multiple digital channels in one line. Video conferencing is much higher quality and more instantaneous. You can use the internet for your phone calls (VOIP), making significant cost savings. Remote access for workers is enhanced, giving your business more flexibility and opportunities for growth. Your phone and computer systems are fully integrated, increasing efficiency and promoting team work. You can also include direct dialling features, multiple subscriber numbering, and interactive voice response, all of which will help to grow your business. How do you make the changeover from POTS to ISDN? This really depends on your current system and your requirements. So for example, you can simply convert a regular POTS line to an ISDN or you can have a new line installed. To use your desktop PCs with an ISDN, each computer will need an internal ISDN card or an external terminal adapter. On the other hand, if you use a local area network (LAN) then you need a router and maybe an ISDN PBX as well. If you want to use your phones over the internet then you need an ISDN PBX and a computer interface as well. What’s the bottom line – is it really worth changing from POTS to ISDN? The main key differences between these two systems is in the number of lines you can use in your business, and the speed and quality of the signals. With less errors in the signals, digital calls using an ISDN are shorter, more cost effective, and efficient. Overall, the costs of running each system tend to fairly equivalent, depending on which provider you select, however the differences in functionality are massive, with the ISDN winning hands down. It only makes sense to go for a more efficient, feature full, and cost effective system, particularly if the costs are similar. So choosing ISDN phone lines over a standard phone service, simply makes better business sense.